2. Light Up Crystal Spiky Star with Mardi Gras Bead Necklaces has a Soft, Squishy Flashing Crystal Star Pendant on a Beaded Necklace. 3. 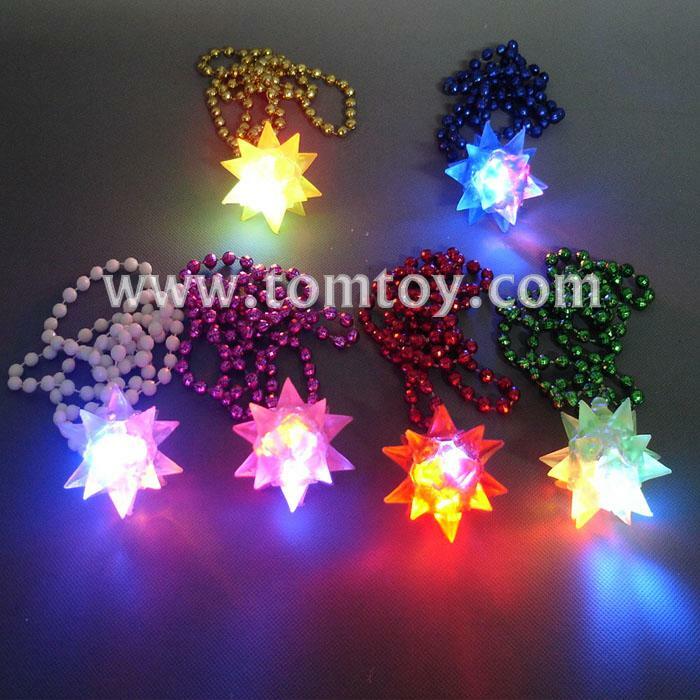 Comes in different colors - Green, Red, Yellow, Blue and so on, with blinking LED to light up all night long.